Improved National Achievement Test (NAT) result, increased participation rate, and reduced drop-out rate are the continuous desire which gear the educators to quest for quality education. 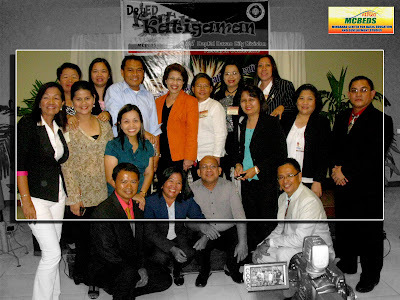 Spearheaded the 2nd DepED research conference, the organizers and Elsie Gagabe, PhD, Education Program Supervisor on Research, produced the first ever compilation of all the research abstracts entitled “KATIGAMAN” which means “knowing” in the Dabawenyo dialect. The research conference featured the research papers of teachers and school heads throughout the Division of Davao City. The event emphasized the importance of sharing research-based practices to improve the delivery of educational services among the learners.